Our number one in the sweet aisle! For generations we have grown up with them and, of course, loved them! 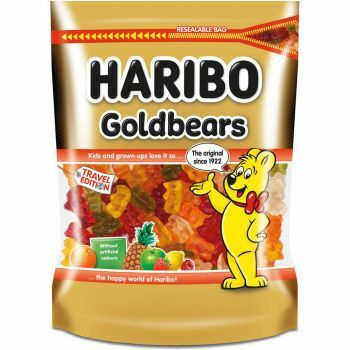 Haribo Goldbears have been a successful product for over 90 years, with their unmistakable fruit flavours of strawberry, raspberry, apple, lemon, orange and pineapple. Haribo Goldbears – the ultimate fruit jelly.